All Seasons Roofing & Waterproofing, Inc.
Superior versatility and durability is offered by this type of roofing system. It is one of the longest lasting types of commercial roofing systems available. An EPDM commercial roofing system is easier to install, repair, and maintain than most other types of commercial roofs. 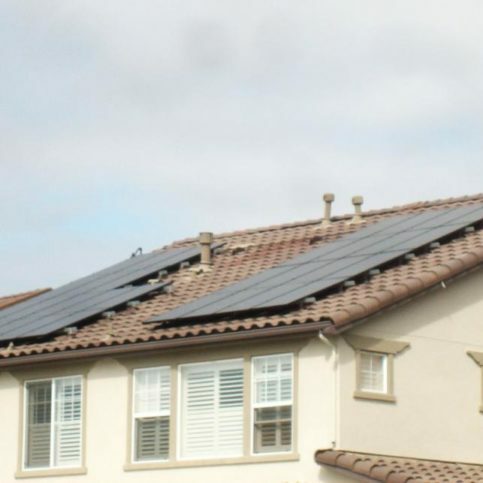 Due to its low-temperature flexibility, high-temperature tolerance, and highly durable material, these roofs are exceptionally resistant to ozone, ultraviolet, and chemical exposure. Also referred to as a TPO roofing system, thermoplastic roofing is among the fastest growing commercial roofing systems. 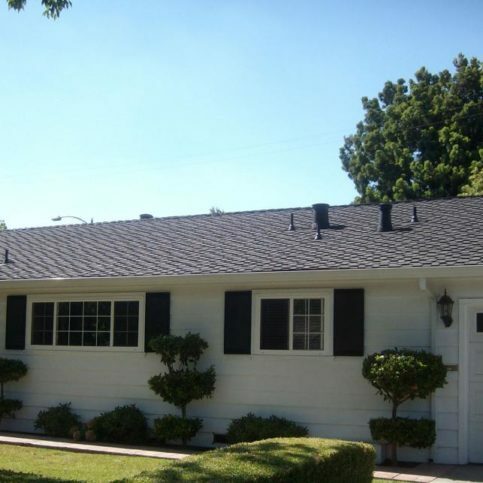 TPO roofs can be expected to have a lifespan of 20 years or more. They also feature a high resistance to punctures, high winds, fire, and chemicals. Green roofing systems have experienced the greatest surge in popularity in recent years in comparison to all types of commercial roofs. Sedum green roofs are usually flat roofs that are completely or partially covered with vegetation and soil and planted over a waterproofing membrane. By soaking up heat, green roofing systems reduce the urban heat island effect. They also dramatically improve a roof’s insulation value which lengthens the lifespan of the roof as much as two to three times longer. It also saves on cooling and heating costs. Purchasing a new roofing system for your commercial property is an important investment. 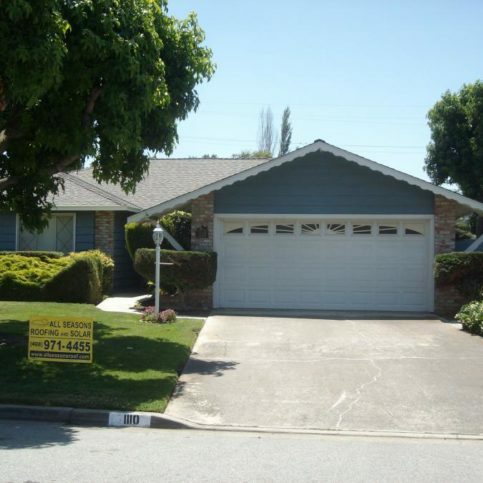 Before spending your money, spend some time researching a roofing contractor in Santa Clara County. Commercial roofing contractors are not all alike and it is important that you work with a professional. Professional roofing contractors have hands-on experience, specialized knowledge, and they have received intensive training. 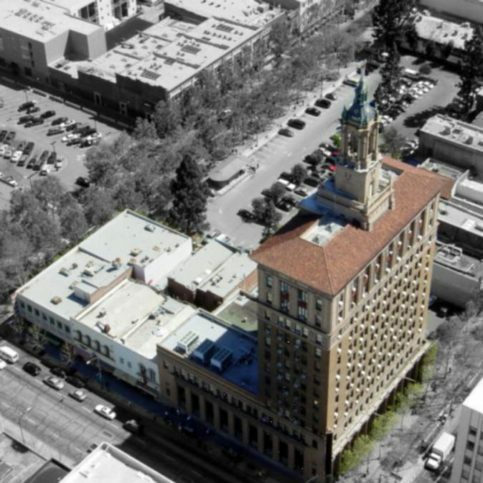 By researching your Santa Clara County commercial roofing contractor, you will go a long way towards ensuring that you get the results you expect: a roofing system for your commercial structure that works! A professional roofing contractor will offer periodic maintenance inspections throughout the years. These inspections help ensure that your roofing project complies with the standards specified in the warranty. A maintenance program typically consists of a detailed visual examination of the roof system, insulation, flashing, and related components to identify any potential trouble areas. The past ten years have seen a tremendous change in roofing materials and application techniques. Be sure that your professional roofing contractor is familiar with the different types of roofing systems available so that they can help you make the best decision for your budget and building. You should be comfortable with the roofing system your commercial contractor suggests. Be sure that your roofing contractor is committed to the education and safety of its workers. Inquire about the types of safety training he provides for his workers and what industry programs the workers have attended. Because the best roofing contractor is only as good as the workers who install the newly purchased roofing system, insist on having experienced, trained roofing workers. Your contractor of choice should be a member of a local, state, regional, or national industry association. Professional organizations keep contractors informed about the latest issues and developments in the industry. Be sure that your roofing contractor is well-established with a permanent address, tax identification number, telephone number, and a business license. Make sure to ask the roofing contractor for proof of insurance. You should also see copies of insurance certificates that verify workers’ compensation and general liability coverages. These coverages should be in effect through the duration of your job. When it comes time to purchase and install a commercial roof for your building, consider hiring a Diamond Certified commercial roofing company in Santa Clara County, including the larger cities of Palo Alto, Cupertino, Gilroy, Campbell, and Morgan Hill. All roofing contractors that have earned Diamond Certified have passed a rigorous ratings process, including license verification and interviews of a random sample of actual customers. For this reason and more, you can know that you’re in good hands when you hire a Diamond Certified contractor to meet all of your commercial roofing needs. A professional commercial roofing contractor will be able to supply you with current financial information. This should include net fixed assets, current assets, current liabilities, and other liabilities and references from a financial institution or auditing firm. Your roofing contractor should list the roofing manufacturers with which he has licensed or approved applicator agreements. Some materials require special application expertise in order to provide a quality roofing system that lasts. Be sure to ask for a written proposal. Examine it for complete descriptions of the specifications and work. The proposal should include the approximate starting and completion dates, payment procedures, and any additional issues such as debris cleanup. The manufacturer’s warranty does not cover workmanship and will not protect you if the roof is improperly installed. Be sure that the contractor offers a warranty that covers workmanship. Carefully read any roofing warranty offered and be aware of any provisions that may void it. Request a list of recent clients from the roofing contractor. Check with these customers to see if they were fully satisfied with the workmanship and quality of materials provided. The Better Business Bureau will also have record of any customer complaints filed regarding the contractor. Ask the roofing contractor to explain his project supervision and quality control procedures. Ask for the name of the person who will be in charge, how many employees will be required, and the estimated time of completion. Why Trust Diamond Certified Commericial Roofing Companies Rated Highest in Quality? Be careful to consider several factors before choosing a commercial roofing company in Santa Clara County. Do your research so that you can determine which commercial roofing contract will be able to accommodate your needs the most successfully. What is my budget for a new commercial roof installation? What commercial structure am I having a roof installed on? 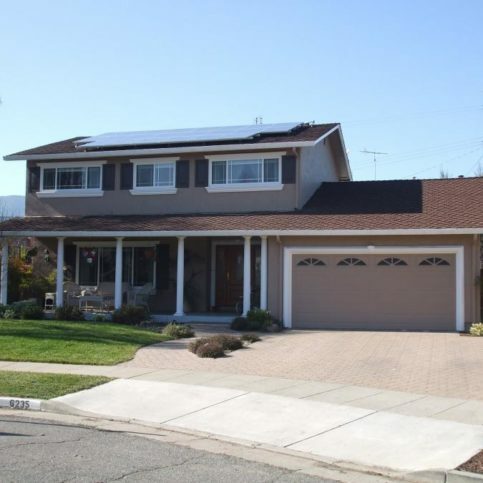 What professional and personal characteristics would I like my Santa Clara County roofing contractor to have? (These may include cleanliness, reliability, honesty, good communication skills, etc. What is the projected time frame for installation of a commercial roof by a professional roofing contractor? The next step is to interview commercial roofing companies in person. This will give you a chance to show them your building and allow them to review the space on which they’ll install the new commercial roof. What is your time frame for starting and completing the commercial roofing project? How do you operate: do you hire subcontractors or have employees? What will be the maintenance requirements for my newly installed commercial roof? Does your Santa Clara County commercial roofing company have a list of former customers as references that I may contact? How does your commercial roofing company calculate pricing for commercial roof installations? What is your track record for customer complaints? Will you provide a written contract that includes payment instructions and total cost? Is payment for the commercial roof installation expected upon completion? It’s best to choose a Diamond Certified commercial roofing contractor because all certified companies have passed an in-depth ratings process that most other companies can’t pass. If you want quality from a commercial roofing contractor in Santa Clara County, you can have confidence choosing a Diamond Certified company. If you can’t find a Diamond Certified commercial roofing contractor within reach, you’ll have to do some research on your own. If you do, it’s wise to call some references provided by your commercial roofing contractor. Keep in mind, though, that references provided to you by the commercial roofing company are not equal in value to the large random sample of customers surveyed during the Diamond Certified ratings process. If you do phone references on your own, specifically ask for a list of the company’s 10 most recent customers. This will help avoid them giving you the names of only customers they know were satisfied. If you live in one of the smaller cities such as Alviso, Monte Sereno, Saratoga, Mt. Hamilton, Los Altos, and Los Gatos, did they charge extra to travel to your home? Did the commercial roofing contractor show up on time? Did the commercial roofing contractor start and finish the work on time? Were you satisfied with the services from (commercial roofing contractor name)? Did the commercial roofing contractor keep you up to date with the status of the commercial roof installation? Or did you have to call to get information? If you need a commercial roofing contractor in the future, will you consider hiring this commercial roofing company? Would you recommend this commercial roofing contractor to your friends and family? 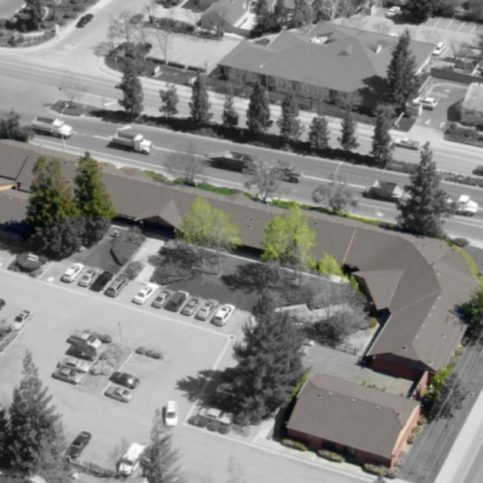 Can the commercial roofing company in Santa Clara County meet your needs when it comes to customer service, experience, and scheduling? Is a warrantee and satisfaction guarantee to back up their work offered by the commercial roofing contractor? Does the commercial roofing contractor seem professional and knowledgeable? Is the commercial roofing company sensitive to your budget? Does my commercial roofing company of choice have a good reputation and excellent references which I have checked? 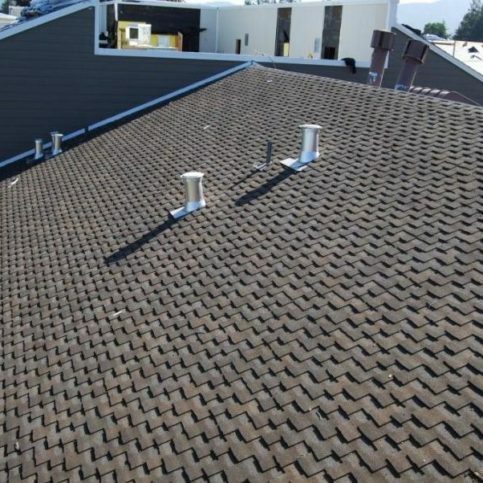 Now that you’ve found the right commercial roofing company in Santa Clara County, including the larger cities of San Jose, Sunnyvale, Santa Clara, Mountain View, and Milpitas, your work as a responsible customer has just begun. 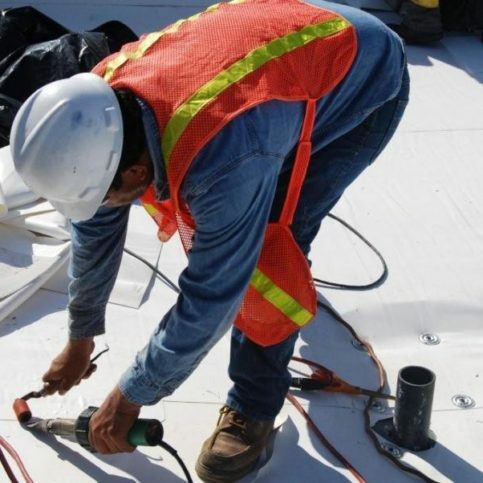 During your commercial roofing project, pay attention to the following guidelines in order to ensure success with your commercial roofing contractor. It is important to make your opinions known when something is truly important. But keep in mind that sometimes you have to let a commercial roofing contractor do what he was hired to do. Keep an open mind and listen to your roofing contractor’s ideas. Communication is always the key to keeping things moving smoothly. Be sure to keep open lines of communication at all times with your commercial roofing contractor. Avoid allowances in the estimate as these can account for huge discrepancies between projected and actual costs. If you are in doubt, err on the side of caution and overestimate. You may find it useful to keep a project journal: your own record of the project as it progresses. This could be very helpful in clarifying disagreements and keeping things moving according to schedule. In particular, keep track of all changes to the plan in writing. You may want to include the contract, any change orders, plans, specifications, invoices, bills, cancelled checks, emails, lien releases, warranties, record sheets, identifying information for materials used and any other written correspondence with the contractor. Try to foresee and plan for potential problems. For example, a common problem can be an absentee subcontractor. Outline with your commercial roofing company a contingency plan if this should happen. As the work progresses, be sure to check it continually. Don’t wait until everything is done before you check to make sure everything is according to plan. The Santa Clara commercial roofing company’s name, physical address, mailing address and phone. A clear, concise, and complete description of the commercial roofing project, including start and completion dates. It’s the commercial roofing contractor’s responsibility to install quality commercial roofing systems using the best possible installation techniques. But you play a big part in the success of your commercial roofing contractor, too. Before you hire a commercial roofing contractor in Santa Clara County, restate your expectations and goals, and reiterate to the commercial roofing company representative your understanding of the agreement. Most problems with local commercial roofing contractors occur because of a breakdown in communication. By being clear about your expectations and theirs, you can avoid most conflicts. Here are a few other steps you can take to be a good customer when hiring a Santa Clara County commercial roofing contractor. Be sure your service representative has a phone number where they can reach you at all times while they’re installing your commercial roof. The work will move along more smoothly if your commercial roofing contractor can reach you for any necessary updates, questions or work authorizations. Ask your commercial roofing contractor if you should call to check on the progress or if he will call you with updates. Be clear and upfront with the commercial roofing contractor. Let them know what you want from your commercial roofing company, the long-term outcome you’re expecting and specific ways they can satisfy your expectations. When your contractor contacts you, return calls promptly to keep the commercial roofing project on schedule. Pay for the commercial roofing contractor work promptly. Why would you want to be a good customer? 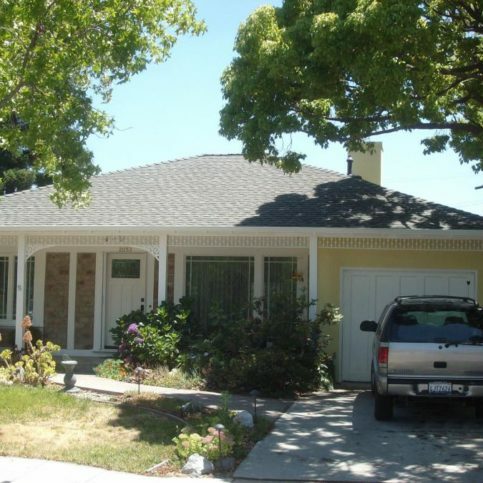 Commercial roofing companies in Santa Clara County, including those that serve the larger cities of Palo Alto, Cupertino, Gilroy, Campbell, and Morgan Hill, appreciate customers who are straightforward, honest and easy to work with. Your good customer behavior sets the tone from your end and creates an environment conducive to a good relationship. Things may very well go smoother and any problems may be more easily resolved. When the commercial roofing contractor’s work is completed, most professional commercial roofing contractors will give you a written invoice that details the completed work. It’s smart to compare the completed work against the invoice. Make sure that the commercial roof installation was completed to your satisfaction. If you have questions about the work that was done, this is the time to ask. Before the commercial roofing contractor leaves, confirm any warranties offered by the local commercial roofing contractors and/or commercial roofing manufacturers in Santa Clara County. Your responsibility in the case of a problem with the commercial roofing project and what you need to do in order to redeem the warranty. If the commercial roofing warranty is transferrable to the new owner in the event that you sell the building in which the contractor has added or replaced roofing. The length of time as well as limitations should be covered. Warranties should cover materials and workmanship, and names and addresses of the warrantor. This may include the commercial roofing contractor, roofing manufacturer and distributor. 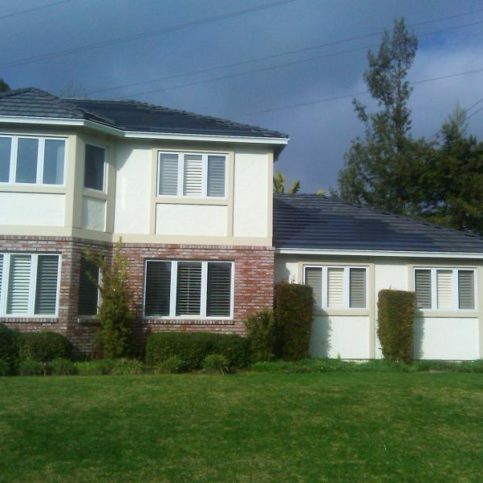 Commercial roofing companies in Santa Clara County provide many different types of services. Following is a list of the top services requested by commercial roofing companies. This is a black or brown, tar-like substance used to cover a commercial building. There are four types of roofing asphalt and they are all created by heating and blowing with oxygen. The longer the process, the higher the melt-point of the asphalt. This is the installation of a venting system in a commercial roof. Vents installed in the commercial roof allow a continual flow of outside air through the attic. This protects the efficiency of the insulation and helps lower temperatures in the living space. This is the installation of a roof made up of rubber. Rubber is commonly used on roofs due to being extremely waterproof, sanitary and durable. EPDM rubber has aging-resistant properties and is highly resistant to water and steam. It stands up well against oxygen, UV rays, and other chemicals that wear out natural rubber quickly. It is also a great electric insulator. This is the installation of shingles on a commercial structure. Shingles are thin oblong pieces of material such as slate or wood that are laid in overlapping rows to cover a roof. This is the repair of leaks in a commercial roofing system. Though you may have a high quality, long lasting roofing system, occasionally the components of the roof will deteriorate and begin to leak. A quality roofing contractor can repair the commercial roof in order to stop leakage and preserve the quality of the roof. This is a covering for a commercial building that is horizontal or nearly horizontal in contrast to a sloped roof. Generally, a flat roof has a pitch that is less than ten degrees. Flat roofs are those that are waterproofed with a membrane. This is a coating used on commercial roofing that permanently seals your roof, providing protection and greater durability. It creates a moisture and vapor barrier that completely seals the surface of the roof. This is a type of roofing system for commercial buildings. It is used on nearly flat or flat roofs. It prevents leaks and moves water off the roof. Many companies are on the market for commercial roofing. Following is a list of popular commercial roofing companies that have had great success. Below are key commercial roofing terms and descriptions that will help you navigate your way through your metal roofing installation from beginning to end. This is a metal that doesn’t rust and is used for metal roofing as well as the fabrication of gutter and flashings. This is a bituminous waterproofing agent that is applied to roofing materials during manufacturing. This material is installed over the top of a roof membrane to help hold it in place. This is a strip of wood that is often fastened to the structural deck for use in attaching a primary roof system such as a plastic strip, tile, wood strip, or a metal bar which is used to hold or fasten the roof or base flashing in place. These pieces of wood are built into a roof assembly and stiffen the deck around an opening, support a curb, or are used as a nailer for attachment of flashing or membranes. This stands for built-up roof which is a roof that consists of multiple layers of reinforcing membrane and waterproofing materials such as ply sheets and asphalt. This materials is used to cover the top edge of base or other flashings. This is a written promise to the owner of the roofing materials and roof for workmanship involved in re-roofing or roofing a building. This is the surface that is installed over the supporting framing members to which the roofing is applied. This is the act, process, mode of, or device used for draining. The lower, horizontal edge of a sloped roof. These components seal the roof system in places where the roof covering is terminated or interrupted such as around curbs, pipes, walls, etc. It helps prevent moisture entry into the roof system or building. Heating, ventilating, and air conditioning equipment. This materials is used to maintain a desired temperature in a structure by reducing the flow of heat into and out of the building. This is the periodic scheduled upkeep of a roofing system. This written promise is for the owner of a roof and roofing materials for material-related problems. 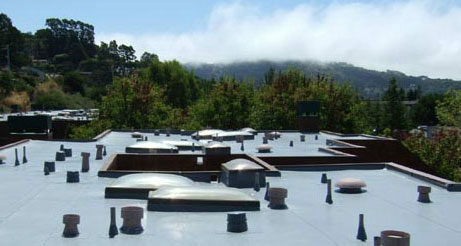 This portion of the roofing system serves as the waterproofing materials. This is an entirely new roofing system placed on new construction or replacing an old roof that no longer functions properly. This is a part of a perimeter wall that extends over the surface of a roof. The degree of steepness or slope of a roof. This is the measure of a material’s resistance to the flow of heat. The higher a material’s R-value, the more it insulates. The fixing of deterioration, cracks, leaks, and other similar problems on a roof system. The replacement of a roof or a portion of a roof. It can also refer to the placement of additional roofing materials over an existing structure. This component in a structure forms a platform on which the remainder of the BUR components are placed. This is all of the components of a roof. It includes weatherproofing, waterproofing, roof insulation, roof deck, and vapor barrier. This outlet in a parapet wall or the wall of a building is used for the drainage of water from a flat roof. This refers to the angle of incline of a roof. This is the surface that a roof is installed upon. This later of material is laid down on a bare deck before the installation of shingles which provide additional protection for the deck. 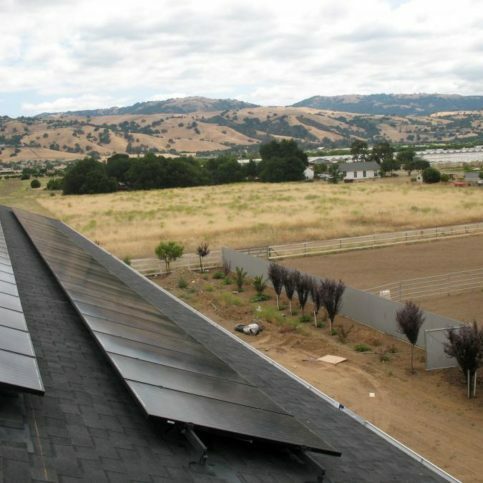 This reflective roof is more effective than traditional black asphalt roofs in keeping solar heat out of buildings. 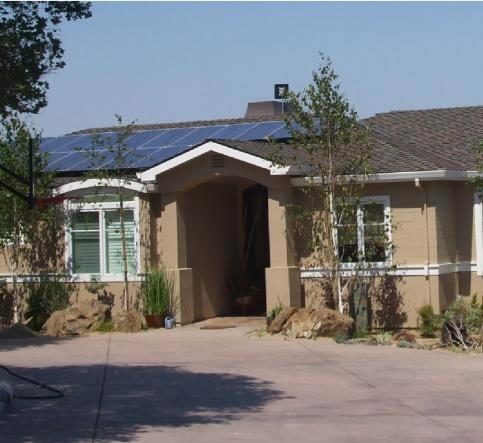 This type of roof increases energy savings. Q: Why choose a Diamond Certified commercial roofing company? A: Diamond Certified helps you choose a commercial roofing company with confidence by offering a list of top-rated local companies who have passed the country’s most in-depth rating process. Only commercial roofing companies rated Highest in Quality earn the prestigious Diamond Certified award. Most companies can’t pass the ratings. American Ratings Corporation also monitors every Diamond Certified company with ongoing research and ratings. And your purchase is backed by the Diamond Certified Performance Guarantee. So you’ll feel confident choosing a Diamond Certified commercial roofing company. Q: Do I need a new roof for my commercial property? A: If you have any of the following problems, you may need a new roof system: unexplained mold; open seams, persistent leaks, flashing pulling away or lifting, or membrane failure that results in the coating wearing away and exposing the underneath mat. Q: How much will a new roof for my commercial building cost? A: The total cost is dependent on several factors that include labor, removal of the old roof, materials, and any repairs to the underlying structure. Be sure that your roofer of choice has the proper insurance and commitment to quality. Q: Should I be concerned if my new commercial roof has blisters? A: A blistering roof should definitely be looked into as quickly as possible. Blisters are often caused by trapped moisture or a material defect in both Low-Slope membrane and asphalt shingles. Q: How much insurance should my commercial roofing contractor have? A: On average, your roofing contractor should have $2-5 million liability policy and worker’s compensation for every person that steps on your roof. There are some small roofing contractors who try to save money by not carrying enough insurance. Though they can pass this savings onto you, if an injury occurs, your personal policy will have to cover the costs. Improper coverage could result in the loss of your business. So be sure your roofing contractor has adequate insurance coverage before you hire him. Q: How long should my new roof last on my commercial building? A: The answer to this question depends on many different factors such as quality of materials, the type of roofing system, and the quality of installation. Depending on these factors, your roof may last as little as ten years or a lifetime. It is important to make sure that your professional roofing installers are skilled in every aspect or roofing installation so that you can experience the greatest life expectancy of your commercial roof. Q: What are the benefits of roof maintenance? A: A commercial roof can easily cost hundreds of thousands of dollars. The life of your roof investment can be prolonged by semi-annual inspections and maintenance. Proper maintenance also helps you avoid leaks that become costly due to internal water damage to the infrastructure, furniture, flooring, and electrical equipment. An inspection and maintenance includes clearing drains and drainage system to make sure they are running free; checking if all the flashing details are in good condition and free from damage or cracks; removing any unwanted materials and debris such as unwanted vegetation; and evaluating the surface of the roof for deterioration. Q: What is the difference between a manufacturer’s warranty and a contractor’s guarantee? A: A contractor’s guarantee is only good for the length of time the roofing contractor is in business. If the company goes out of business, nobody is left to honor the guarantee. This is why it is important to know how long the company has been in business and how many years of experience the contractor has as a roofer. A manufacturer’s warranty is a joint agreement between the manufacturer and the contractor for the first two years of your roof’s life. The contractor is responsible for the first two years, and the manufacturer covers all costs of repairs after the first two years. Q: What is a green roof? A: This is a plant layer placed over the water proofing layer of a roof or slightly pitched roof that helps keep the building cooler. Grasses, mosses, and other shade plants may be used. Due to the lack of shade trees, many urban areas have begun to adopt a green roof policy as studies show it reduces the ambient temperature. Q: What causes leaks on my commercial roof? A: Most leaks occur at areas of penetration such as vents, air conditioning units, flashing, chimneys, etc. Most leaks happen because of errors from installation. A minimum of 70% of the time it takes to install a roof should be spent making sure all areas of penetration are water-proofed and installed correctly. This is called flashing detail.